I found this lamp on Sunday at my local car boot fair. It’s fair to say it’s seen better days, but I couldn’t resist it, especially as it has a little leaping deer on the base! 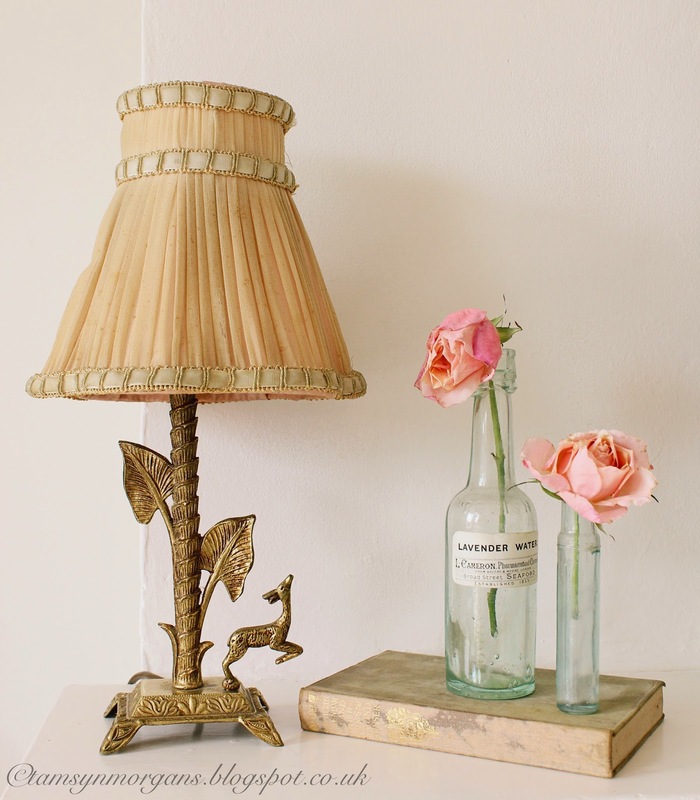 And of course I adore old chiffon lampshades, this one is the perfect shade of pale vintage pink. My post tomorrow is in collaboration with Laura Ashley, a little DIY craft tutorial for you! I love it! The little deer and the gilded leaves are charming and the shade is so much fun.That's a lamp that looks like it will fit in anywhere you choose to put it in your house. I've started a shade collection of my own after discovering your blog, I'm having quite a good time with it.